Elizabeth's Pottery | Combining clay, chemicals and energy with effort, patience and anticipation to create a ceramic work of art. Combining clay, chemicals and energy with effort, patience and anticipation to create a ceramic work of art. Elizabeth Greene strives to create distinctive, one-of-a-kind ceramic works of art. 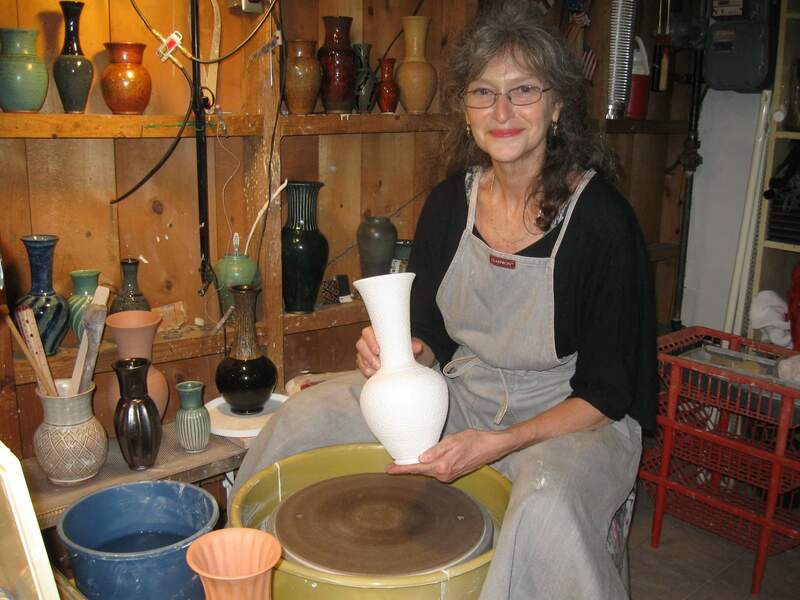 Her work concentrates on the endless possibilities traditional ceramic vessels including vases, bowls, teapots, unique serving pieces, and other functional pottery such as plates, mugs, candlesticks and small lamps.